3).For Fruit Fans: Upload a photo of your fave FRUIT dishes or your Fruit print attire or anything regarding FRUITS on your social networks. For Tropical Print Fans: Upload a photo of your TROPICAL print clothes or TROPICALprint look or anything regarding TROPCAL print on your social networks. 4. 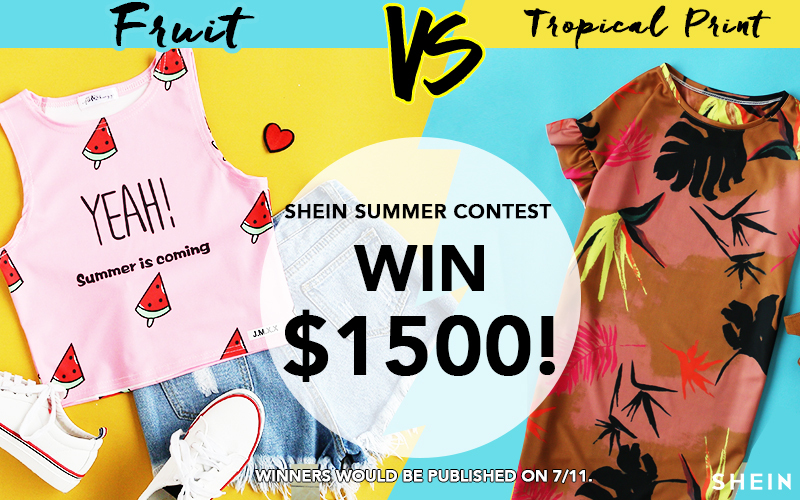 )Add #sheinfruitfan (If you choose to stand fruit team) / #sheintropicfan (If you choose to stand tropical team). Also, don’t forget to add #sheinevents and tag @sheinofficial/@SHEIN in your captions as well.